1. Investigations on the Relative Performance of Stabilising Additives in Black Cotton Soil Subgrades, Highway Research Bulletin, No. 65, Dec 2001. 2. Comparative Study of Deflectometry with Benkelmen Beam and Portable Falling weight Deflectometer, Highway Research Bulletin, No. 67, Dec 2002. 3. Swell-Shrink Behaviour of Expansive Clay Treated with Inorganic Additives, Highway Research Bulletin, No. 66, Dec 2002. 4. A Comparative Study of Soil CBR Assessment Through Clegg Impact Soil Test, Field and Laboratory CBR Tests”, Indian Highways, July, 2003. 5. Adaptability of Reinforced flyash sub base in Flexible Pavement Construction, Asian Journal of Microbiology, Biotechnology and Environment Science, Aligarh, UP, Vol.9, No.4, 2007. 6. Use of Lime Cement Stabilized Flyash sub base layer in flexible pavement construction on different sub grades, Asian Journal of Microbiology, Biotechnology and Environment Science, Aligarh, UP, Vol. 10, No.1, 2008. 7. A Laboratory Study on the Effect of Electrolytes in the Stabilisation of Expansive Soil Subgrade”, Institute of Engineer’s Journal, Kolkatta, India, Vol. 88, February 2008, pp 3-6. 8. Use of Waste Plastic and Tyre in Pavement System, Institute of Engineer’s Journal, Kolkatta, India. Vol. 89, August 2008, pp 31-35. 9. Utilization of Stabilised Flyash Layer as Sub-base Course in Flexible Pavement Construction, Institute of Engineer’s Journal, Kolkatta, India.Vol. 89, August, 2008, pp 36-41. 10. A Study on Efficacy of Electrolytes in the Stabilization of Expansive Soil Subgrade, Asian Journal of Microbiology, Biotechnology and Environment Science, Aligarh, UP, Issue No. 3, 2008. 11. Use of Lime–Cement Stabilized Pavement Construction, Indian Journal of Engineering and Material Sciences, August-2009. New Delhi. 12. Laboratory studies on the stabilized marine clay with GBFS and ferric chloride using reinforcement techniques for the foundation beds, Asian Journal of Microbiology, Biotechnology and Environment Science, Aligarh, UP, Vol.9, No.1, 2010. 13. Stabilization of Lime-Cement Flyash layer at sub base level of flexible pavement, Asian Journal of Microbiology, Biotechnology and Environmental Science, Aligarh, UP, ISSN #0972-3005, 2010, Issue-2. 1. Field Performance of Reinforced Sub- bases on Expansive Soil Subgrades, Emerging Journal on Engineering Science and Technology, (EJEST) Vol.1. pp. no. 16-23, Spring Edition, 2009. 2. Utilization of Industrial Waste in Flexible Pavement Construction, Electronic Journal of Geotechnical Engg., (EJGE). Vol.13, May, 2009. 3. Geotechnical Behaviour of Flyash Reinforced with Industrial Waste ”, Emerging Journal of Engineering Science and Technology, (EJEST), ISSN# 0974-2050,Fall Edition-2009,Volume-03,No-05,pp.1-9. 4. Performance of Waste Tyre Rubber on Model Flexible Pavement, Asian Research Publishing Network,(ARPN), Journal of Engg. and Applied Sciences, Vol. 4, No.6, August-2009. 5. Performance Evaluation of Stabilized Flyash Subbases” , ARPN Journal of Engineering and Applied Sciences, Vol. 5, No. 8, August- 2010, ISSN #1819-6608,pp. 50-57. 6. Model Flexible Pavement Performance of Reinforced Gravel Subbase", International Journal of Civil Engineering Research, Vol.1, Number 1, (2010), pp.1-10. 7. Stabilisation of Lime-Cement Flyash layer at Subbase Level of Flexible Pavement”, Asian Journal of Microbiology, Biotechnology & Environmental Sciences, Aligarh, UP. ISSN #0972-3005, 2010, Issue-2. 8. Behaviour of Reinforced Subbases on Expansive Soil Subgrades",Global Journal of Researches in Engineering,USA,ISSN#0975-5861, Vol. 10 Issue 1,April 2010,pp.1-8. 9. Strength and Deformation Properties of Reinforced Gravel with Waste Polymers”, International Journal of Emerging Technologies and Applications in Engineering Science, Technology and Sciences, (IJ-ETA-ETS), ISSN# 0974-3588, Volume-03, Issue-1, pp.402-406. 11. The influence of reinforcement technique on the Calcium Chloride (CaCl2) & Granulated Blast Furnace Slag (GBFS) stabilized marine clay for foundation soil beds, IJEST, Vol.3, No.3, March 2011. 12. Consolidation Characteristics of treated marine clay for foundation soil beds, IJEST, Vol.3, No.2, Feb 2011. 13. Laboratory studies on the properties of stabilized marine clay from Kakinada Sea Cost, India. IJEST Vol. 3, No.1, Jan 2011. 24. Designing an Isolated Footing in Cohesive and Non-Cohesive Soils”,IOSR Journal of Mechanical and Civil Engineering (IOSR-JMCE) e-ISSN: 2278-1684,p-ISSN: 2320-334X, Volume 13, Issue 1 Ver. VI (Jan- Feb. 2016), PP 68-71. 25. Influence of Ferric Chloride on Strength and Deformation Characteristics of Expansive Soil Sub Grades In Konaseema Region- International Journal of Innovative Research in Science, Engineering and Technology (An ISO 3297: 2007 Certified Organization) Vol. 4, Issue 11, November 2015, pp.11174-11181. 26. Evaluation of the Properties of Fly Ash on Strength and Swelling Aspect of an Expansive Soil, International Journal of Applied Research 2015; 1(6): pp.34-39. 2. Indian Geotechnical Engineering Conference (IGC- 1994), N.I.T., Warangal. 4. Indian Geotechnical Engineering Conference (IGC- 2000), Mumbai. 5. Indian Geotechnical Engineering Conference (IGC-2001), Indore. 6. Indian Geotechnical Engineering Conference (IGC- 2002), Allahabad. 7. Indian Geotechnical Engineering Conference (IGC- 2003), I.I.T., Roorkee. 8.	International Conference on Low Land Technology (ISLT-2004), Bangkok. 9. Indian Geotechnical Engineering Conference (IGC- 2004), N.I.T., Warangal. 10. Indian Geotechnical Engineering Conference (IGC- 2005), Ahmadabad. 11. Conference on Engineering Practices in Troublesome Soils (CONCEPTS-2006), JNTU, Kakinada. 12. Indian Geotechnical Engineering Conference (IGC- 2006), I.I.T., Chennai. 13. First Indian Young Indian Geotechnical Engineering Conference (FIYGEC-2007), JNTU, Hyderabad. 14. Second Indian Young Indian Geotechnical Engineering Conference (SIYGEC-2008), JNTU, Kakinada. 15. Indian Geotechnical Engineering Conference (IGC- 2009), Guntur. 16. Indian Geotechnical Engineering Conference (IGC- 2010), I.I.T., Mumbai. 17. Indian Geotechnical Engineering Conference (IGC- 2011), Kochi. 2. Organizing Secretary, Conference on Corrective Engineering Practices in Troublesome Soils, (CONCEPTS-2006), 8-9 July, 2006, JNTU College of Engineering, Kakinada. 3. Organizing Secretary, First Indian Young Indian Geotechnical Engineering Conference (FIYGEC-2007), JNTU, Hyderabad. 4. Chairman, Second Indian Young Indian Geotechnical Engineering Conference (SIYGEC-2008), JNTU, Kakinada. 5. Chairman, National Seminar on Soil Problems in Construction Engineering, 19th October, 2008, JNTU College of Engineering, Kakinada. 6. Chairman, National Seminar on problems Related to Engineering Structures in Soils, (PRESS), October, 2011, JNTU College of Engineering, Kakinada. 1. Efficiency of Inorganic Additives in Modification of Expansive Highway Sub-grades, International Seminar on Regional Co-operation for Infrastructure Development Among SAARC Countries, Andhra University, Visakhapatnam, 1999. 2. Test Track Studies on Expansive Soil Subgrades, International conference on Civil Engineering, ICCE -2001, I.I.Sc, Bangalore. 3. Performance Studies on Chemically Stabilised Expansive soil Subgrades,12th ARC, August, 2003, Singapore. 4. Performance Studies on Reinforced Expansive Soil Subgrades, ISLT-2004, September, 2004, Bangkok, Thailand. 5. Utilisation of Waste Plastics in Flexible Pavement Construction Laid on Expansive Soil Subgrade “, 6th International Conference on Case Histories in Geotechnical Engineering, August 11-16, 2008, Arlington, VA, 7.68a. 6. Evaluation of Different Reinforced Subbases on Expansive Soil Subgrades”,12 th International Conference of International Association for Computer Methods and Advances in Geo-mechanics (IACMAG), October 1-6, 2008 Goa, India. 7. Behaviour of Reinforced Subbases in Expansive Soil Subgrade”, International Symposium on Ground Improvement Technologies and Case Histories by C.F.Leung (ISGI-09), 9-11 December, 2009,Copyright@2009 by Research Publishing Services 978-981-08-3124-0. 8. Behavior of Reinforced Sub-bases in Flexible Pavement System, Int. Conf. on Infrastructure Development on Expansive Soils, (INDEX-2009),-pp225-235,August, 2009, Vellore. 9. Expansive Soil Reinforced with Gravel Subbase - A Field Experiment”, International Conference on Earth Sciences and Engineering, (ICEE) - 2010, Hyderabad. 11. Laboratory studies on the efficacy of Granulated Blast Furnace Slag as an admixture for improving the strength characteristics of the Kakinada marine clay, 3rd International Conference, GEDMAR, INDONESIA, may 2011. 12. Strength Characteristics of Gravel-Flyash Materials Reinforced with Waste Tyre Rubber Chips, 2nd International Conference on Advances in Engineering and Technology (ICAET2012), ISBN 978-1-4675-2245-8 © 2012 Published by the Coimbatore Institute of Information Technology, March 28 & 29, 2012. 13. Strength Behavior of Expansive Soil Treated with Tile Waste, International Conference on Advances In Science, Engineering & Management(Icasem-2015),Sri Vasavi College of Engineering, Andhra Pradesh,4&5 December-2015,Pp.111-116. 1. The Changing Atmosphere- Its consequences- Future Policy and Planning, National Seminar on Health and Environment, HENSEM-93, JNTU College of Engineering, Kakinada, 1993. 2. Use of Anchored Granular Column in Arresting Heave of Expansive Clay, I.G.C.-94, REC, Warangal, 1994. 3. Effect of Gradation of Granular Pile-Anchor Material on Reduction of Heave and Engineering Properties of Expansive Soil, National Seminar on Innovations in Construction engineering Practice, Annamalai University, Chennai, 1996. 4. Effect of Gradation of Granular Pile Anchor Material on Reduction of Heave, National Seminar on Piles, I.G.S., Delhi, 1996. 5. Effect of Quarry Dust in Arresting Heave of Expansive Clays, Terzaghi-96, Kakinada, 1996. 6. Strength Characteristics of Expansive Soils Stabilized with Lime and Rice Husk Ash, National Seminar on Road Transportation, Patiala,1998. 7. Stabilizing Swelling Sub-grades with Lime-Cement-Calcium Chloride Combination, National Seminar on Road Transportation, Patiala,1998. 8. Relative Performance of Lime and Calcium Chloride on Properties of Expansive Soils for Pavement Subgrades, IGC-99, Calcutta, 1999. 9. Relative Performance of Calcium Chloride and Lime Columns in Expansive Soil Sub-grades, ISTAM, REC, Warangal, 1999. 10. Low Cost Housing Model Using Ferro-cement, National Seminar on Low Cost Materials, SVU, Tirupati, 2000. 11. Incorporation of Reinforced Earth Layer in Flexible pavement Construction on Expansive Soil Bed, National Seminar on Ground Improvements techniques, REC, Kurushetra, 2000. 12. Use of Reinforced earth Layer in Flexible Pavement Construction on Expansive Subgrades and its Optimum Location, National Seminar on Ground Improvements techniques, REC, Kurushetra, 2000. 13. Control of Fly-ash Flow using Geotextiles, IGC-2000, Mumbai, 2000. 14. Influence of Calcium Chloride and Sodium Silicate on Properties of Expansive Soil, IGC-2000, Mumbai, 2000. 15. Cyclic Swell-Shrink Behaviour of Expansive Soil Stabilised with Lime and Rice Husk Ash, IGC-2000, Mumbai, 2000. 16. Strength Properties of Lime- RHA stabilised soil mixes, IGC-2000, Mumbai, 2000. 17. Use of Reinforced Earth Layer in Flexible Pavement laid over Expansive Subgrade, Seminar on Soil - Structure interaction, Kakinada, 2000. 18. Pull - Out Testing on Various Reinforcing Materials Embedded in Different Fill Materials, IGC-2001, Indore. 19. XRD, SEM and Atomic Absorption Spectroscopy Studies on Stabilised Expansive Clays, IGC-2001, Indore. 20. Use of Reinforced Flyash Layer as Sub-base Course in Flexible Pavement Construction, IGC-2001, Indore. 22. Effect of Calcium Chloride and Rice – Husk Ash on strength Properties of Expensive soils, IGC-2001, Indore. 23. Pull-out Capacity of Anchored Grannular Columns in Expansive Soils, IGC-2002, Allahabad. 24. Structural and Economic Analysis for the Flexible Test Track Pavement on Expansive Soil Subgrade, IGC-2002, Allahabad. 25. Influence of Inorganic Additives on Atterberg Limits and Effective Shear Strength Parameters of Expansive Soil, IGC-2002, Allahabad. 26. Leaching Studies on Stabilised Expansive Soil, IGC-2003, Roorkee. 27. Cyclic Swell-shrink Behaviour of Expansive soil treated with strong Electrolytes, IGC-2003, Roorkee. 28. Use of Reinforced Earth Layer in Flexible Pavement Construction on Expansive soil Subgrades, IGC-2004, NIT, Warangal. 29. Influence of Reinforced Earth Layer on the Performance of Model Flexible Pavement, IGC-2005, Ahmadabad. 30. Use of Strong Electrolytes in the Stabilisation of Expansive Soil Subgrades”, IGC-2005, Nimra University, Ahmadabad. 31. Use of Potassium Hydroxide and Aluminium Chloride in the stabilization of Expansive soil Subgrade, CONCEPTS-2006, JNTU, Kakinada. 32. Influence of waste plastics in different subbases of model flexible pavements, CONCEPTS-2006, JNTU, Kakinada. 33. Utilisation of flyash layer as subbase course in flexible pavement construction, CONCEPTS-2006, JNTU, Kakinada. 34	Use of Waste Material in Flexible Pavement Construction”, National Conference on Emerging Technologies in Civil Engineering for Sustainable Development, SRKR Engineering College, Bhimavaram, AP. 35. Cement Stabilized Flyash as subbase course of flexible pavement, IGC-2006, Chennai, December 14-16, 2006. 36. Influence of Reinforced Flyash as subbase coarse, IGC-2006, Chennai, December 14-16, 2006. 37. Influence of Waste Tyre Rubber in Different Subbases of Model Flexible Pavement System”, CETIC, MS University, Vadodara, 2006. 39. Use of Reinforced Flyash Layer in the Model Flexible Pavement, First Indian Young Geotechnical Engineering Conference – 2007, JNT University, Hyderabad, 2-3 March 2007. 40. Utilization of Industrial Waste in Road Construction NCWWM – 2007, 23-24, April 2007, JNTU Engineering College, Kakinada. 41. Use of Waste Plastics in Flexible Pavement Construction”. National Conference on Recent Advances & Trends in Civil Engineering (BITCON-2007), Bhilai House, Durg. 43. Use of Low Cost Material in Flexible Pavement Construction, IGC- 2008, IISC, Bangalore. 45. Adoptability of Waste Plastics in Flexible Pavement Construction”, National Conference on Emerging Trends in Engineering & Technology, Sanjivani Vision-2008, College of Engineering, Kopargaon, Maharashtra. 46. Performance Evaluation of Reinforced Subbases”, Second Indian Young Geotechnical Engineers Conference – 2009,JNTU, Kakinada. 47. Use of Stabilized Flyash Layer in Flexible Pavement Construction, IGC-2009, Guntur. 49. XRD and SEM studies on Stabilized Expansive Subgrades, IGC-2009, Guntur. 51. Effect of Strong Chemicals on the swell properties of an Expansive Clay, IGC-2010, Mumbai. 53. Innovative Techniques in Ground Improvement Laboratory Study on Stabilized Fly Ash Sub Bases”, Indian Geotechnical Conference-2010 (GEOtrendz). 54. A Study on Strength Characteristics of Gravel-Flyash Reinforced with Randomly Distributed Fibers ”, National Conference on “21st Century Emerging Trends in Civil Engineering Globe” (TCETCG), KSRM College of Engineering , Kadapa , A.P, India. 55. Laboratory Study on Reinforced Gravel Subbases Laid on Different Subgrades”, National Conference on “Civil Engineering for Infrastructural Development (CID-2010)”, DYPCOE, Akurdi, Pune. 56. Study of consolidation accelerated by sand drains IGC-2010, Mumbai. 57. Innovations in Ground Improvement Behaviour of Stabilized Flyash Subbases, IGC-2011, Kochi. 58. Field Investigation of Heave of Chemically Stabilized Expansive Soil Subgrades, IGC-2011, Kochi. 59. A Comparative Study on Performance of Flexible Pavement on Expansive and Non Expansive Soils, IGC-2011, Kochi. 60. Evaluation of Different Reinforced Subbases on Expansive Soil Subgrade - A Laboratory Model Study, IGC-2011, Kochi. 62. Laboratory Performance of Different Reinforced Subbases on Sand Subgrades, Fifth National Conference on Recent Advances in Civil Engineering(RACE-2012), pp. 103-106., Nov 29-Dec 1, 2012, Kochi, India. 63. Effect of Waste Materials in Pavements Construction, Indian Geotechnical Conference , IGC -2013, December 22-24,2013, IIT-Roorkee. 1. Evaluation Studies of Reinforced and Chemically Stabilized Expansive Soil Subgrades”, Terzaghi-2004, SRKR Engineering College, Bhimavaram, Oct-2004. 2. Test Track Studies on Expansive Soil Subgrades, A.U. College of Engineering, Visakhapatnam, March-2005. 3. Ground Improvement Techniques, NIT, Warangal, April-2006. 4. Pavement Evaluation Studies on Expansive Soil Subgrade, Workshop on Pavement Performance, Maintenance and Evaluation, A.U. College of Engineering, Visakhapatnam, July-2008. 5. Soil Stabilization with Low Cost Reinforcement Materials, Workshop on Soil Retaining by Reinforcing Techniques, A.U. College of Engineering, Visakhapatnam, October-2011. 	Taken up consultancy jobs for industries like NFCL, GFCL, Power Plants, Natural Bio-energy limited, Airliquide limited etc. 	Taken up consultancy jobs for many State and Central Government Organizations like Steel Plant, Roads and Buildings, Panchayat Raj, Irrigation Department etc. 9. 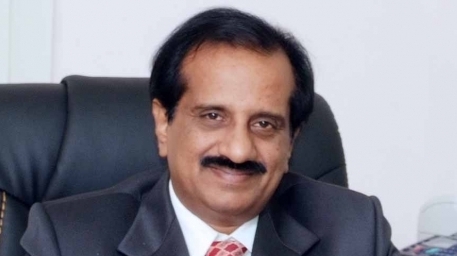 Vice – Principal, University College of Engg, Kakinada. 15	Officer on Special Duty (OSD), JNTUK. Honors & Awards : State Government Best Teacher Award for the year 2016. Best Teacher Award for the years at the Dept.